As you frequent AccessJ readers may have noticed, we have just covered the various medical specialities in Japan as well as the Japanese health insurance system. Following up on our medical theme, today we will look at the important points of getting fixed up at the local clinic. While some specialists such as psychiatrists require advanced reservations, for the most part appointments are not needed - all you need do is walk in, present your insurance card and wait for the doctor to see you. For most small clinics, the wait is generally less than an hour but for big hospitals it can be longer. Also, some hospitals require reservations for certain specialists or services depending on the time and day of the week. For a detailed list of medical specialities avaliable in Japan, check out our post here. Finding a clinic is relatively easy. Chances are there is at least one in your neighborhood. If not, Yahoo Japan, My Clinic, and Doctor.ne.jp all offer nation-wide doctor searches to help locate your nearest health care provider. You can also search by speciality and geographic location. These sites also show times when the clinic is open. Most doctors divide their day into morning and afternoon blocks. Generally speaking, morning hours end around 11:00 or 12:00 followed by a two hour break wherein evening hours begin (generally until 5:00 or 6:00). Since most doctors still make house calls in Japan, its not unusual for a doctor to be late returning for his evening appointments. Some clinics may offer priority to returning patients or those with reservations. Referrals are generally not necessary except of certain appointment hours at large hospitals (usually late afternoon). If you are not a Japanese speaker or reader, it is probably a good idea to bring a friend along so you can explain what ails you as well as fill out forms regarding allergies, medication history, etc. In Japan, like many other countries, a doctor is a position of particularly high esteem. 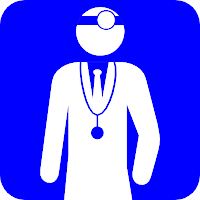 Doctors are always addressed as sensei (先生) much like teachers and lawyers to reference their prestigious position. Despite being a lucrative business, many doctors practice well into their 60s and even 70s so except the average age of your practitioner to be on the older side. For older doctors, asking directly for a second opinion is akin to calling him or her a liar. The good news is that this is changing as younger doctors take the reigns and medicals schools make their curriculum more patient-sensitive. More and more big hospitals are posting signs telling their patients not to fear asking for a second opinion. Due to the "doctor knows best" school of thought, doctors usually don't ask your opion regarding treatment, instead preferring to go right ahead with whatever treatment they deem necessary. Again, this tends to be more true for older doctors. Finally, doctors in Japan sometimes often come off as curt and down right dismissive. Keep in mind, doctors get paid per patient. Therefore, there isn't a lot of chit-chat involved and usually the doctor isn't interested in hearing anything but your immediate symptoms. As to the question of quality, Japan is internationally of high-regard medically, and this author's experience has been a largely positive one. If one particular clinic doesn't do it for you, then just take your business to another, more reputable doctor. If you are just going for a routine check-up, then all you need is an insurance card/booklet. If you don't have one yet (i.e. you are waiting for it to come in the mail), you can often submit a claim for reimbursement so long as you are current on your premiums and your insurance has officially kicked in. If you find yourself going to the doctor multiple times, most medical providers will check your insurance card once a month to make sure your insurance is current. If you check into the hospital overnight or longer, most facilities ask that you bring your own towels, slippers, tooth brush, tissues, and other sundries. This may sound strange to many but hospitals love to bill you for anything that you don't bring yourself so if you find yourself hospitalized, it doesn't hurt to ask a friend to bring some goods to you. Also, if you want a nicer room, private quarters, and other goodies, then be prepared to pay a lot more out of pocket. According to the OECD's 2003 health data, the average Japanese person visits a doctor 14.4 times a year, far out pacing the second place USA (8.9 visits per person). Not surprisingly, even a small city will likely have many doctors offices and specialists just waiting to take your insurance money. Unlike many other countries, doctors are almost always in private practice, although in bigger cities some doctors have multiple branches or cooperative clinics. For basic treatment, there are two main types of doctor's offices: "clinics" (クリニック kurinikku) and i-in (医院). The two are essentially the same except i-in are almost always private practices, while clinics can have multiple branches. Furthermore, some cities like Tokyo have special "foreigner clinics" geared toward short term business travelers and temporary residents. These clinics don't accept Japanese health insurance and are usually more expensive although they provide English speaking staff. One thing that gets particularly confusing is the the exact definition of "hospital" (病院 byoin). In Japan, it is not unusual for a single doctor or a group of doctors to run small, private hospitals with a few beds and over night staff. These small hospitals also double as clinics. However, not all hospitals accept ambulances. Emergency intake is generally limited to big private hospitals, city run hospitals (市立病院 shiritsu byoin), prefectural hospitals (県立病院 kenritsu byoin), national hospitals (国立病院 kokuritsu byoin), and university hospitals (大学病院 daigaku byoin). Almost all large hospitals have an extensive array of out-patient (外来 gairai) doctors that specialize in a variety of non-emergency medicine much like a regular clinic. Most hospitals and many clinics are part of a area-wide doctor practice group (denoted by 会 -kai). Clinics and hopitals will often give you a card with a patient number in case you come back. Hang on to this as it will make finding your medical records that much easier. Well, loyal readers, that about covers our doctor visit guide. For our next post we will look at dentistry in Japan. With any luck you won't need to use any of this info on a regular basis, but in the event that you get ill just remember that AccessJ has your back! Just to add one or two points to this interesting article. In Japan clinics are often non-bed outpatient facilities serving local community health primary care and also specialist care (e.g. 耳鼻科 (Ear, Nose and Throat - ENT) )health needs. Under medical law a clinic (kurinikku i- クリニック) is a medical facility with between 0 - 19 beds. A hospital - biyouin - 美容院) is a medical facility having 20 beds or more and go up in scale to national (kokuristsu byouin - National Hospitals) and private hospitals some of which are facilities of over 500 beds. Over 98% of Japanese doctors accept the Japanese Health Insurance as there is universal health care coverage here and, as your article mentioned, those few who don't accept Japanese health insurance include many of theose that are usually more expensive provide English speaking staff and only accept private insurance schemes such as Blue Cross by which they can gain greater financial rewards. So the good news is that if you go to the the vast majority of clinics and hospitals that only accept the Japanese health insurance coverage then at least 70% of the costs will be paid by the Japanese government with you the patient only being asked to pay for 20 - 30% of the costs of consultation and prescriptions issued. So in practice for example an outpatient visit to a local clinic will average out at between only 2000 - 3000 yen. Yes, if you do need to check into the hospital overnight or longer, most facilities ask that you bring your own towels, slippers, tooth brush, tissues, and other sundries as is customary in Japanese culture. Most mid sized and all large sized hospitals usually have a shop on the first floor or second floors selling these items at very reasonable prices. Thanks for the great pointers. I didn't go into the details hospital law for sake of brevity but thanks a bunch of pointing them out. I have not personally been to business traveler/foreigner clinics but from what I could tell it seems like most operate on a pay-up-front then get reimbursed later system. I don't know anything about Blue Cross or hospitals that directly accept US insurance plans, but if you know of any detailed info about those then feel free to share. Also, as far as national insurance is concerned, we have covered the issue fairly thoroughly in our past posts but feel free to check those out and offer up any advice. Yes in my experience it is as you say that most seem to operate on a pay-up-front and then use the receipts to claim on your private insurance and get reimbursed later system. Thanks for pointing me to your national insurance posts which say it all. If it is the same Dr. Kurosu who used to operate out of Nagoya (at least I think that was his name, its been a while) I can personally attest to the high quality of his practice. When I worked at the world expo and had non-Japanese student insurance (back when JASSO ran a reimbursement scheme) I used a foreigner clinic in Nagoya as well as the local red cross hospital with great results. Hi Dan, you are right, it is the same Dr Kurosu you know from Nagoya.